Driving through the village of Alambra yesterday, I saw a really massive, sinister looking snake. I don't know anything about snakes, probably this one was non-poisonous, but its size gave me a bit of a jolt. If I had been out walking and come across such a creature, I would have gone running in the other direction. If Sage had come across it, what would she have done? This is turn reminded me that I wanted to write a post about possible dangers your dog might encounter in Cyprus, and what to do to avoid them. Blunt-nosed Viper – this is the most dangerous snake in North Cyprus, so it’s worth knowing how to recognise it. It’s a large, fat snake, around 1.5 metres long, and is silvery beige with rectangular markings along its body and black spots on its head. It likes being near water, as this is good for hunting and staying cool, and consequently is occasionally found in swimming pools.If bitten it is essential to get medical attention quickly as a bite can be fatal if not treated (all medical centres stock anti-venom). The bite is particularly painful as the fangs stay embedded in the skin and continue to pump venom. However, fatalities are extremely rare, with around 20 bites reported a year but no fatalities in the last 15 years. Cat Snake – this is nocturnal and typically hides in burrows during the day. It gets its name from the way its eyes become slits in bright sunlight. It is venomous and can be quite aggressive but finds it difficult to bite large prey due to its backward-pointing teeth. 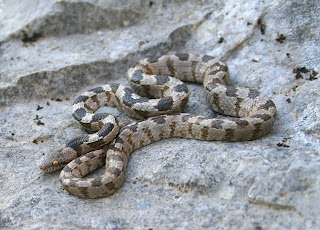 Montpellier Snake – this is a rare, timid snake. It is light brown with no markings and grows up to 2 metres. It is quite poisonous, however it is most likely to retreat if disturbed and, like the Cat snake, finds it difficult to bite larger prey. Keep your dog in sight at all times, and prevent them from disappearing off into dense undergrowth. Take care when hiking, especially through long grass/weeds. If you feel unsure, keep your dog on a leash through areas where you can't see the ground. The most dangerous snake, the Blunt-nosed Viper will often be found near water, so again, take extra care when exploring around water. 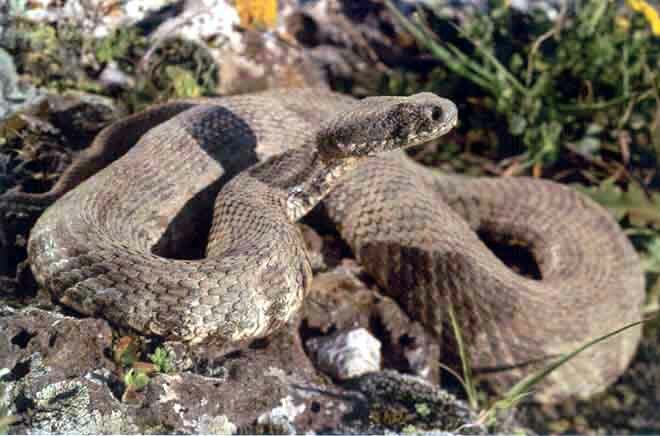 Snakes can be seen any time of the year, but the mating season (April-May) is when they will be out in force. Bear this in mind and be particularly vigilant. In a case of a snake bite you should seek veterinary attention.In the meantime, you should restrict movement of your pet, loosely immobilize the limb in a functional position if bitten on an extremity. Do not incise the bite wound to aspirate the venom and do not apply a tourniquet without a veterinary assistance. Do not apply ice in the area, either... take your pet to the nearest veterinary surgery, where your pet will be under veterinary care .Try to remember the snake’s appearance .This will assist the vet in determining which type of snake bit your pet. Note the color, shape and size of the snake. Name of vet : Ioannis Karas, Athos Efstathiou. Address : 8 Medouses. 6059, Larnaca. Look up the name, address and phone number of a vet in the area where you will be holidaying, and carry it with you to be on the safe side. I find this almost too depressing to write about. It's unfathomable to me why somebody would purposefully try to kill animals. But let's just deal with it and move on. There are different kinds of 'poison' that are put down, usually to kill stray cats and dogs, but sometimes targeting pets too. Lanate, a carbamate pesticide, is readily available in Cyprus though it is banned in nearly every European country. It is most commonly used by farmers to “kill animals such as rats, foxes, snakes, and feral dogs.” Additionally, it is laid around villages by individuals to keep stray dogs away and also ends up killing pets! Once a dog has ingested the poison, symptoms can set in very quickly. 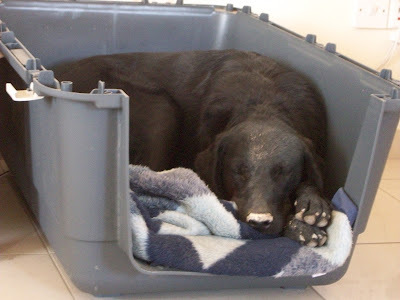 These symptoms include severe shaking which serves as a sign of the dog’s nervous system breaking down, vomiting, foaming at both ends, diarrhea, and the inability to stand. The second type is a slower acting poison, rodenticides (for mice/rats) containing the chemical bromethalin. The third type is not chemical. Rather, shards of glass are hidden inside food, typically something irresistible such as liver, which destroy the animals' digestive system from mouth to stomach, during ingestion. In all situations, go straight to the nearest vet. If out of hours, call the nearest vet and find an emergency number. For the first two types, the chemical poisoning, make the animal vomit. One way to do this with dogs is force them to drink very salty water. Induce vomiting if it has been less than two hours since the animal ingested the substance, unless it is a corrosive or petroleum-based product which may do more damage to the lining of the mouth and throat when it comes back up. Always check with your veterinarian before inducing vomiting. Never induce vomiting in an animal who is already vomiting, is unable to swallow, unconscious, or is having seizures. In Crete I used to carry a set of vials and small syringe I bought from the pharmacy, one was to induce vomiting, the others were an antidote, in the case of the first type of poisoning. I would recommend that you only use such antidotes in dire emergencies, and only on the advice of a vet. This is not effective for rat poison - for that you must get a course of medicine from the vet. Perhaps the most hideous is the hidden sharps - I don't know that there is much of a cure. Take your animal to the vet immediately. I have seen countless warnings on Twitter recently about not leaving your dog unattended in the car, making sure they have adequate water and shade etc etc. A lot of this is common sense, but if you and/or your dog is not used to such a hot climate as is found in Cyprus, keep it in mind, and follow the sensible precautions to make sure they enjoy their holidays too. You know your dog. If you notice unusual behaviour, take them to the vet. That said, I spent my first summer with Sage feeling desperately anxious that she wasn't herself, she was just lying around on the tiled floor, panting. This is what she needs to do to keep cool. Sometimes nowadays, in the middle of summer, I figure she has the right idea and I join her. Thanks very much for this post. I have 3 dogs and have only come across one blunt-nosed viper whilst outdoors with them, but fortunately had just the 1 dog at the time and that made controlling the situation much easier. I have an antivenom given from a friend that used to work at a vet practice, but no clue on how to administer the doses should the need arise. Do you know if they sell dedicated antivenom out here that can be purchased at a pharmacy for example?